Here's how to use the Outreach Center to send an Email Blast. Email Blasts enable you to send personal messages at scale using mail merge fields to your group. 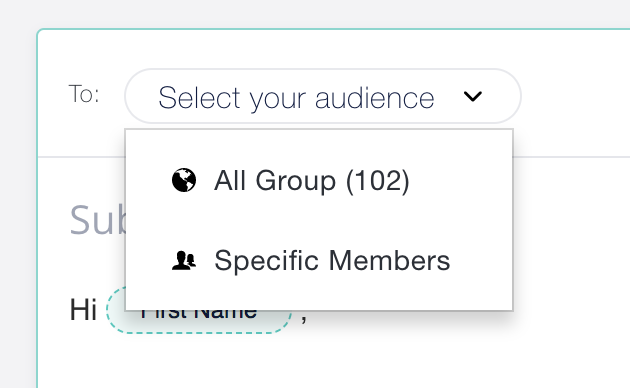 Populate your message with fields from the Member Directory. The email blast will only go into your members' email inbox. They won't see a button to join the conversation because the content only exists in the manager's private Outreach Center. These are not posts in the community social Lounge. Your members can only reply to you privately, and reply-all is not possible. 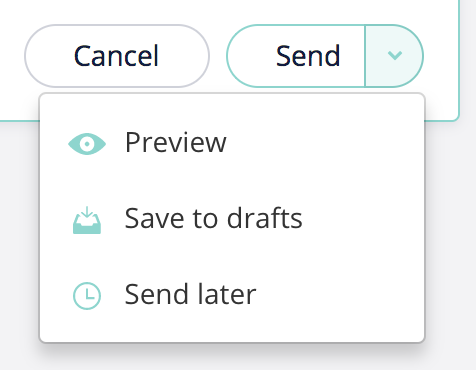 Once you've created your message, click Send to send your message to your members. Or you can preview, save it as a draft, or schedule it.